Arroyo Burro Beach County Park is the official name of what Santa Barbara locals call Hendry’s Beach. This beach is surrounded by tall bluffs with parks and trails on top including the Douglas Preserve. 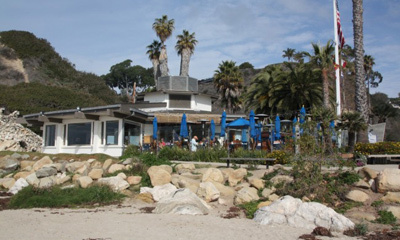 Right at the beach is the Boathouse restaurant, so you can make this an all day affair or an evening visit for dinner. This is one of the cleanest beaches in the area.